CPU performance increases were ignored for years, but AMD put them back on the map with its upcoming Zen chip. This has rubbed off on Intel in a good way. The new chip is a sign that Intel's paying more attention to CPU performance. Each new chip generation has normally brought about a 10 to 20 percent boost in CPU performance. But Intel executives, during a recent phone call, talked about the need to pack more speed into server chips to run demanding applications. That's especially highlighted in the 72-core Xeon Phi chip code-named Knights Landing, which is now being tweaked for artificial intelligence uses. The question remains if Intel can ever match AMD's claim of a 40 percent improvement gain with Zen. Intel's new 22-core server chip is based on the Broadwell architecture. Intel plans to release new server chips based on Skylake in the middle of next year, which will also boast performance gains. Intel's latest PC chips are based a new architecture called Kaby Lake, but the company is often slow to bring new architecture to its server chips. Intel achieved the CPU performance gains by making tweaks to its 14-nm process, which in the past has proven problematic. The early Broadwell chips for PCs were delayed because Intel had manufacturing problems, but the chipmaker hit its stride with Skylake and is making further chip improvements. 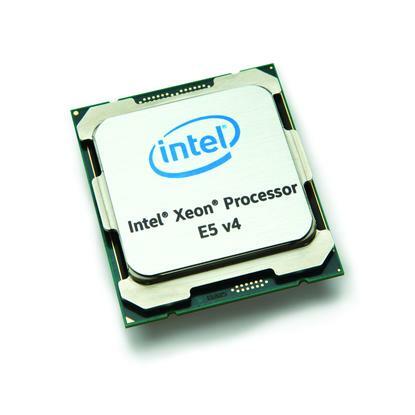 The Xeon E5-2699A v4 runs at a clock speed of 2.40GHz and has 55MB of L3 cache. It has integrated networking, storage and I/O support, and cache allocation is more efficient. Intel dominates the server processor market, with more than a 90 percent share. But competitors are catching up, and it's taking Intel by surprise. The world's fastest supercomputer, called TaihuLight, is based on a homegrown Chinese chip, while ARM is being adopted by Fujitsu to build one of the world's fastest supercomputers in Japan.